Although this morning was the first time I’d heard this quote, I think it’s been something that I’ve always subconsciously tried to use in my life when things are a challenge. Just like “putting one foot in front of the other” or “taking one baby step at a time” help us make moves in the right direction, the concept of peddling to keep balanced is just as true. Right now you hear a lot of hype about “work-life balance.” There’s an abundance of advice on this topic but- let’s face it- this is a hard thing to do! And, quite frankly, I get sooo overwhelmed trying to keep a good balance that I often times loose balance. 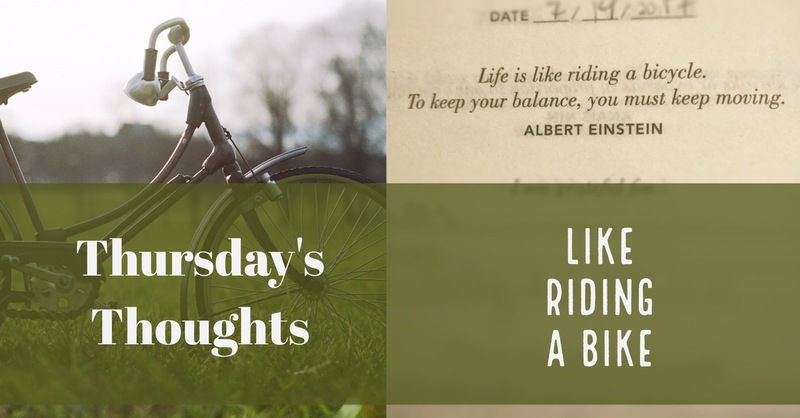 Similar to learning to ride without your training wheels, you’re going along fine until you start thinking about balancing too much. Then what happens??? You freak out and you loose your balance. (P.S. 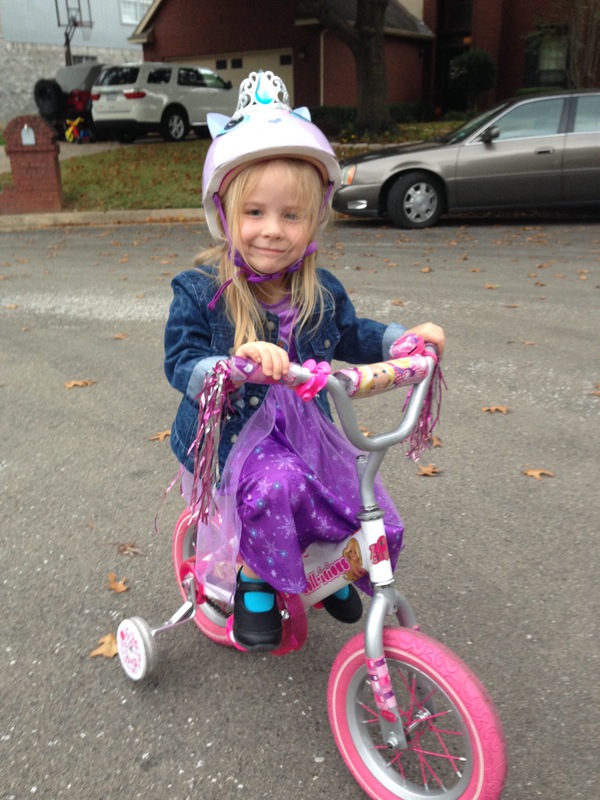 It’s even more likely to happen if you wear princess dress pjs to ride your bike-see Anna below) The moral of my rambling Thursday’s Thoughts may sound like I’m advocating for mindlessly riding throughout life (and probably not wearing a helmet).